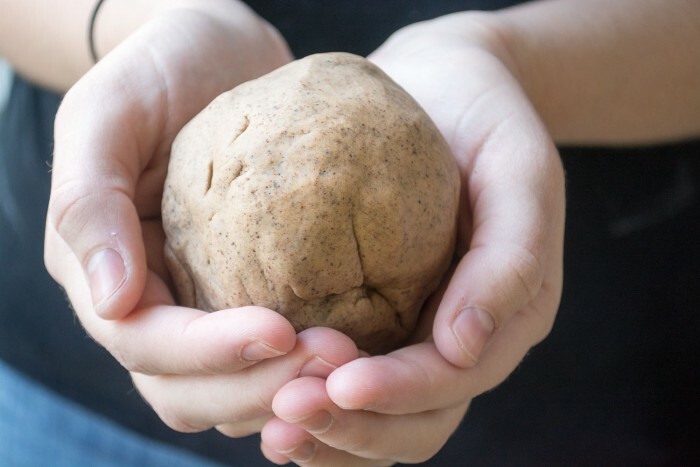 Let your kids ‘bake’ alongside you with Homemade Gingerbread Playdough — it looks, smells, and feels just like the real thing! 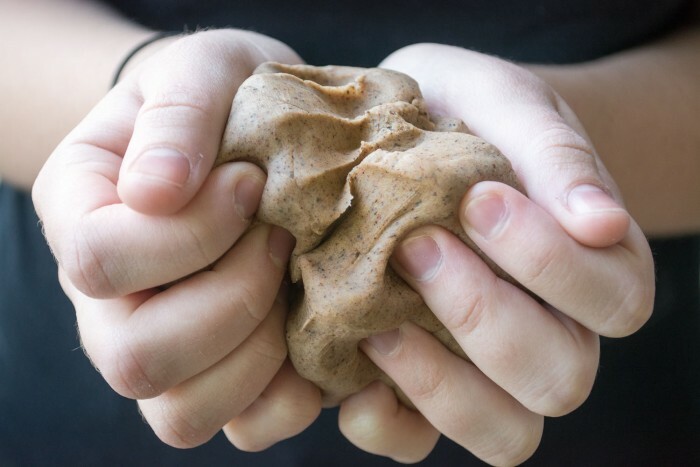 This homemade gingerbread playdough is made with lots of ginger, cinnamon, cloves, and other warm holiday spices so it smells as good as it looks. The dough takes just minutes to make, but if you’ve never made it before you might be surprised to learn that it’s cooked in a saucepan. A little water and oil is added to the dry ingredients and it’s all cooked briefly, just until it comes away from the pan and forms a ball. A few seconds of kneading and it’s ready for play! Put the dry ingredients in a medium saucepan and whisk to combine. Add the water and oil, and stir together. Cook on medium heat for 3-5 minutes, stirring constantly, until the dough comes away from the sides of the pan and forms a ball in the center, a silicone spoon works really well for this.Â It will look lumpy, but don't worry. 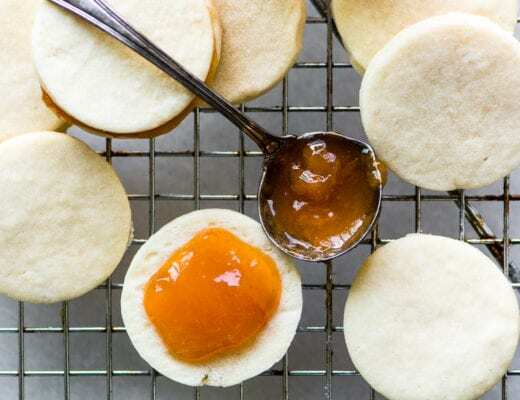 Turn the warm dough out onto a lightly floured surface and gently knead it a few times until it is smooth and not sticky. Lightly flour your hands if necessary. Store the playdough in an airtight baggie or container. 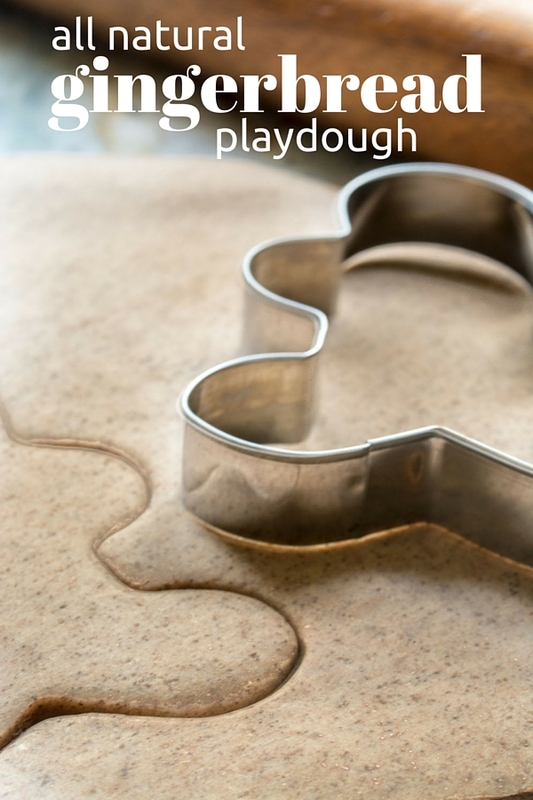 Don’t forget to pin this fun Homemade Gingerbread Playdough! 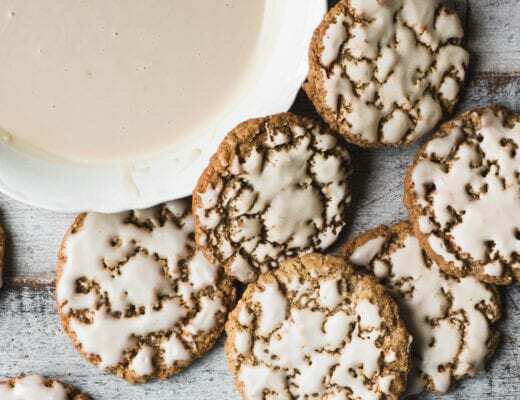 Have you tried baking this or letting it harden to make ornaments? I haven’t had much luck with homemade playdoh recipes, but this one is awesome! It turned out so good and my 3 year old has been playing with it for hours. Thanks! I’m thrilled to hear this Lesley, I loved playing with it myself! 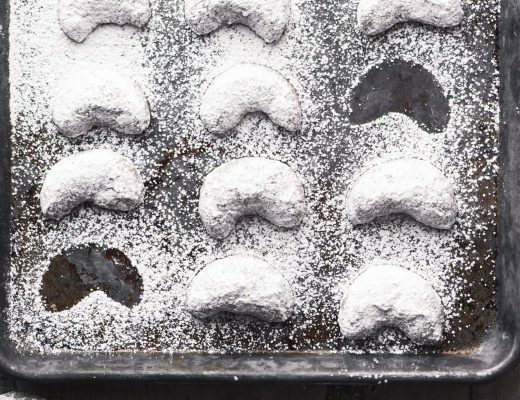 Cam this recipe be multiplied for bigger batches? I don’t see why not, but it’s pretty big as is. You might want to do it in separate batches just for practicality. Very cool! I need to try this for my grandson :) He loves the kitchen! oh II bet this playdough smells amazing. I need to make a batch so I can play with it, sounds like a perfect activity this holiday season. I have a few little friends who would LOVE this! Pinning!! Chris I was SO thinking about you! !